Oliver Jeffers is the author-illustrator of many books for children, including Once Upon an Alphabet, which won a Boston Globe-Horn Book Award, and Lost and Found, which was a Nestlé Children’s Book Prize Gold Medal winner. He is also the illustrator of the #1 New York Times bestseller The Day the Crayons Quit and its follow-up, The Day the Crayons Came Home, both written by Drew Daywalt. Oliver Jeffers lives in Brooklyn. … a fresh and fascinating collaboration between two gifted masters. Jeffers and Winston’s first collaboration is a celebration of the child’s world, illustrated in sumptuous double-page spreads featuring explosions of images borrowed from unforgettable sources...Every one of its elements—the haunting prose poem executed in hand- lettered words; the pictures done in watercolor, pencil, and digital collage; and the objects built from words borrowed from classic stories—all work together toward a richly harmonious whole. An irresistible invitation to read. Jeffers and Winston's mixed-media artwork, an inventive combination of watercolor, pencil, and digital collage, elicits strong notice from readers. Jeffers' uneven, hand-lettered text contrasts dramatically with Winston's digitally manipulated lines of classic prose...An ingenious, confident, and pretty cool exploration of literary delight. A gorgeous, innovative musing on the power of storytelling. A nameless young girl who calls herself a child of books narrates in lyrical, spellbinding verse. Some, she says, have forgotten the importance of stories, but she finds a boy and introduces him to her world, a land created through a marriage of Jeffers’s evocative art and Winston’s masterly use of typography...Use this wholly original celebration of the story as a jumping-off point for conversations about art and writing. A masterpiece. This delightful treasure hunt through children's literature will have you digging through your bookshelves, hunting for forgotten phrases and making room among the tomes for this book. This haunting mixed-media art book will appeal to literature lovers of all ages. Each illustration cleverly incorporates text from classic works of literature into the art...This is fantastically imaginative and smart book that is sure to engage children of all ages. It's a lyrical picture book that celebrates the power of imagination...What a great way to stretch the imagination and teach reading all at once! 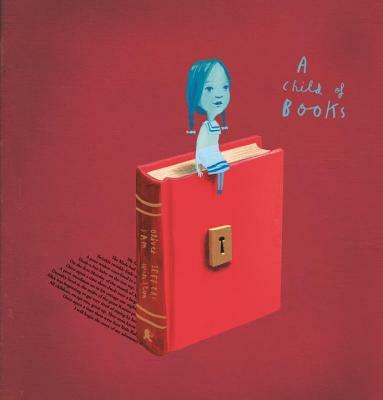 Literature lovers won't want to miss A Child of Books by Oliver Jeffers and Sam Winston. As masterful as a book can be in extolling the richness that reading brings to our lives, "A Child of Books" is a glorious offering. Kids and adults alike will marvel at the artistry and the message of A Child of Books, that we can build our own houses of invention and creativity where all are welcome, "for imagination is free."